Templeborough Biomass Power Plant is rising from ground level and taking shape. After six months focussing on cleaning up the site, which was an operating steel works from 1871 until recently. With below ground work now completed the future shape of the site is starting to come to life. To mark this, we are proud to be launching their new, dedicated website, including a time lapse camera that provides a bird’s eye view of developments on the site, as the power plant begins to take shape. Work has started on the new renewable energy plant within the industrial site at Ickles. The final planning permissions required to start work were received from Rotherham Council towards the end of 2014 and work started in March 2015. The area required remedial work before the plant could begin to take shape and this has all now been completed. There were also several redundant buildings on site that have been demolished, with much of the concrete and other building materials being recycled. 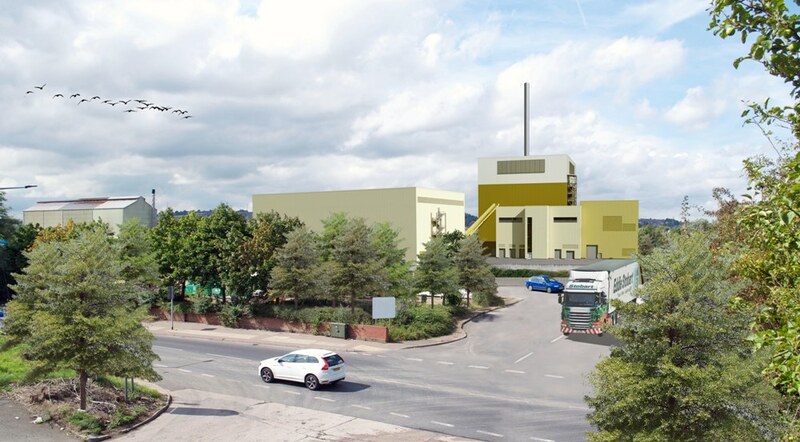 This recycling reinforces the green credentials of the plant and also reduced the number of lorry trips required to move debris from the site, minimising any inconvenience to local residents. The next step in the development of the plant is the construction of the new buildings. The piling has taken place, creating a little noise but ensuring the foundations of the buildings are supported as securely as possible. The new buildings have now started to take shape, with cranes and the first sections of wall emerging over the top of the site boundaries. The dedicated project website is also being launched to provide information on renewable energy, how biomass plants work and answer some of the most frequently asked questions. Excitingly the website also provides a time lapse camera so activity and progress on the site can be viewed, providing a peek behind the boarding to see what is happening every 15 minutes. This project continues to take forward the industrial heritage of the area, putting Ickles at the forefront of the renewable energy sector. From a medieval mill to the generation of clean energy, this site continues to provide employment and investment opportunities to the local community – a legacy which the project is proud to continue. Tim Forrest from Templeborough Biomass Power Plant Ltd. said, “The construction teams have been working hard since March and they have now progressed the project to the point where we are starting to see the buildings take shape right across the site, which is really fantastic. We have also received great support and advice from Rotherham Investment & Development Office and also the council’s planning team, who have assisted us right through the planning and consenting process”. “We’re still on course for an opening in late summer 2017 and hope that everyone in the community around the site will be as excited as we are to see the plant progressing and to make sure we all benefit from this new local industry. We are really pleased to be launching our new dedicated website which we hope will put people at the heart of our construction. It will keep them up to date with our activities and answer their questions as well as enabling them to watch the plant take shape over the coming months. It is an exciting time for us and we want to make sure that our community feels involved with our project as it develops”. Information on the renewable energy plant and how it is working with the community are available in the Templeborough Biomass Power Plant project newsletters, on the website at www.templeboroughbiomass.com and by contacting Tim Forrest, General Manager on 07756 674294 or info@templeboroughbiomass.com.